will add a low amount of water for smaller loads and Super will add the most amount of water for large or bulky loads. Items need to move freely. Tightly packing can lead to poor cleaning performance, and may increase wrinkling and tangling. Temperature senses and maintains uniform water temperatures by regulating incoming hot and cold water. Select a wash temperature based on the type of fabric and soils being washed. For best results and following the garment label instructions, use the warmest wash water safe for your fabric. Warm and hot water will be cooler than what your previous washer provided. 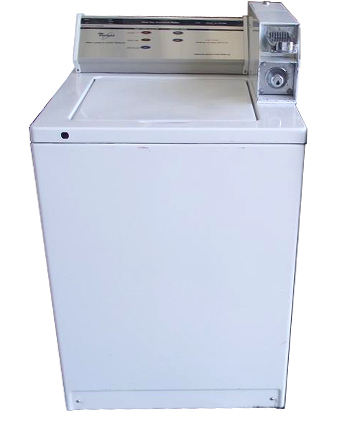 Even in a cold and cool water wash, some warm water may be added to the washer to maintain a minimum temperature. This option can be used to automatically add a second rinse to most cycles. This option must be selected if using fabric softener during a cycle. It ensures that fabric softener is added at the correct time in the rinse for even distribution. This option turns on both the Fabric Softener and the Extra Rinse options. Use the Wash Cycle knob to select cycles on your washer. Knob does not advance during the progress of the cycle, see cycle status lights for each stage of the process. See “Cycle Guide” for detailed descriptions of cycles. Press to start the selected cycle; press again to pause the cycle and unlock the lid. NOTE: If the washer is spinning, it may take several minutes to unlock the lid. Press and hold for 3 seconds to cancel a cycle.